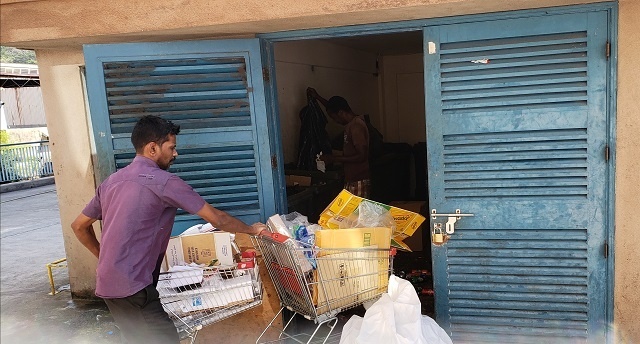 (Seychelles News Agency) - All businesses and licensed establishments in Seychelles will soon be obliged to use waste collection services provided by licensed waste collectors, said an official of the environment ministry. The decision follows the approval of the Cabinet of Ministers last week to better manage the commercial waste in the country. The chief executive of the Land Waste Management Agency, Flavien Joubert, told SNA on Tuesday that this system will change the way commercial waste is dealt with. “Currently the agency is acting as a middleman in the process of disposing of commercial waste. Businesses and establishments are contracted with the agency to collect their waste. In return the agency contracts out waste collection contractors for the collection services,” said Joubert. The chief executive said that the method of collection resulted in bad debts as the agency saw itself subsidising the service as the price did not reflect the real cost of the service. “However, this is set to change as commercial waste producers will have to liaise directly with licensed contractors for pricing of collection for their waste to be collected as the agency will no longer be involved in the financial part,” he added. With the new decision, the agency will now be able to focus on its mandate to reinforce the rules and regulation to ensure that collection operators have a valid license and that businesses have a valid contract with the operators. The agency is also working to classify licenses for those collecting waste as of now some operators are collecting municipal waste and commercial waste and are not properly identified. At the moment there are seven contractors on the main island of Mahe, two on Praslin and one La Digue, the second and third most populated islands of the 115-island archipelago in the western Indian Ocean. Joubert said that on the positive side businesses are highly engaged in waste sorting which is a good thing and can help in recycling if collected properly. According to a recent report -- “Solid Waste Management in Seychelles” -- compiled by students from ETH Zurich University and the University of Seychelles found that at least $4.5 million is going into waste management per year. The report found a large potential to recycle waste materials such as cardboard boxes, egg trays, paper bags and crushed glass, which can be reused in the national market.